In an time when the real estate market can’t exactly be described as stable, it’s alwasy refreshing to see a Charlotte homebuilder not only continuing to sell new homes at a steady rate, but actually adding more home sites to a community because of the high demand. So, accolades are definitely due to Mattamy Homes, who recently acquired 27 new single-family home sites at Riverbend in Charlotte. 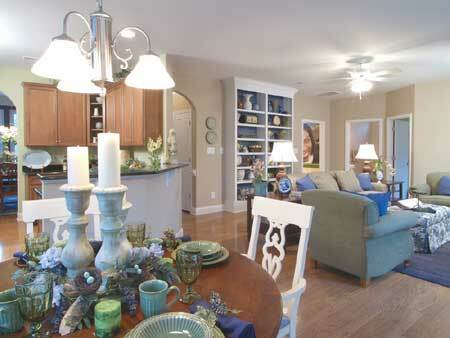 The community features spacious new homes in Charlotte priced from $165,990 to $217,990. To provide home shoppers with a tool to visualize a variety of home plans and optional features, Mattamy is the process building multiple one and two-story model homes at Riverbend that range from 1,611 square feet of living space to 2,882 square feet. 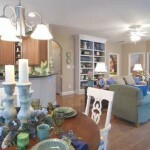 One of these new model homes is the Turner D model home, which began construction in June. This particular model features three bedrooms with two and one-half baths. The unique floorplan includes a conveninent loft area, providing extra living space ideal for a children’s play area, office or media room. So be sure to visit Riverbend, tour these fantastic model homes, and see for yourself the combination of quality homes with livable floorplans, fantastic amenities and ideal location that has put Riverbend in high-demand in the Charlotte real estate market. This entry was posted in Charlotte new homes, North Carolina and tagged charlotte homebuilder, charlotte real estate, mattamy homes, new homes in Charlotte on September 8, 2008 by Carol Morgan.